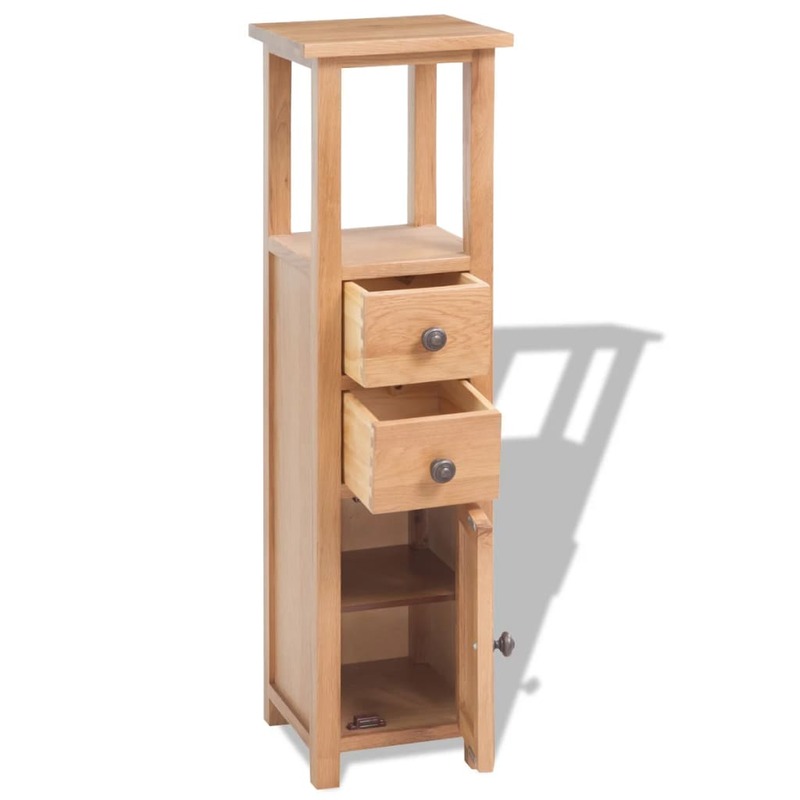 This corner cabinet will add a great addition to your decor and is highly functional. 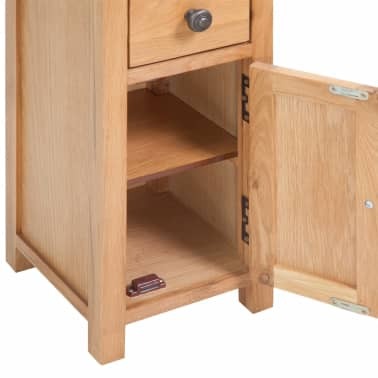 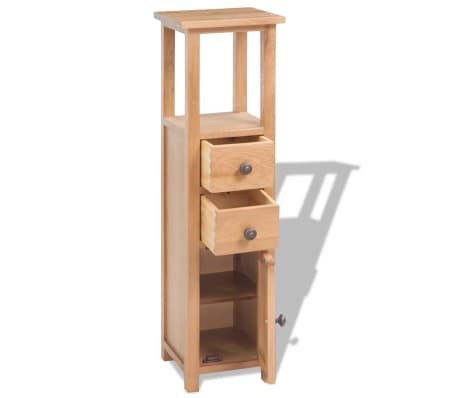 It provides ample storage space for your personal belongings, helping to keep your room tidy. 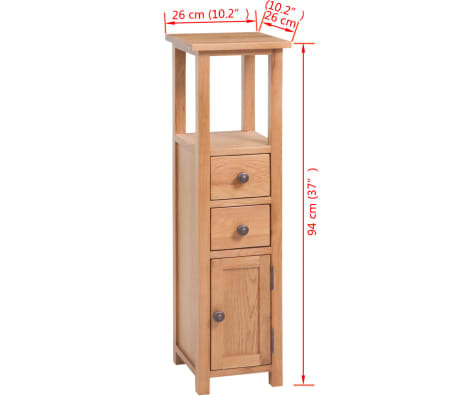 The extra tall design with 2 smoothly running drawers and 1 storage compartment with door is ideal for storing all kinds of small items like books, DVDs, notepads, pens, and other knick-knacks. 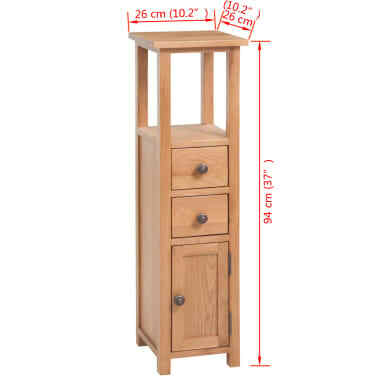 It can also be used as a bathroom cupboard, bathroom tower, bedside table, sideboard, etc. 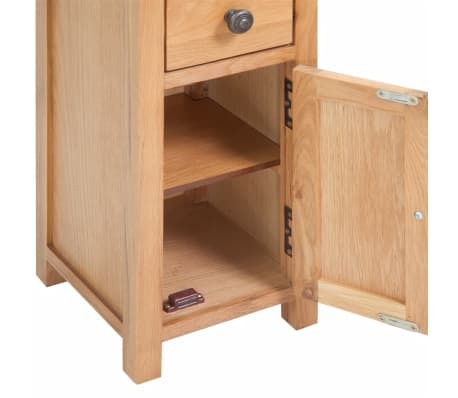 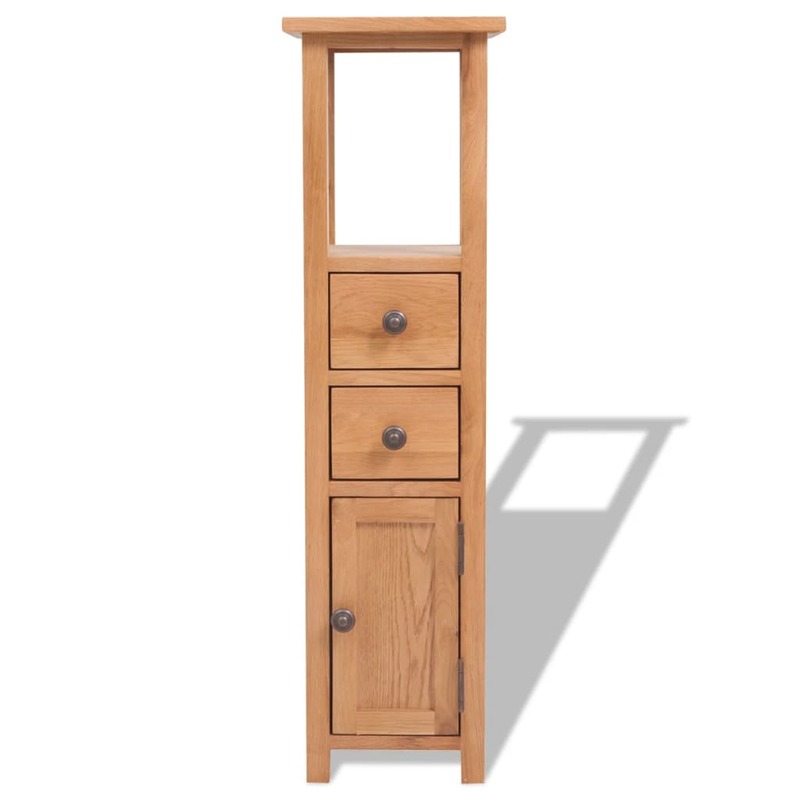 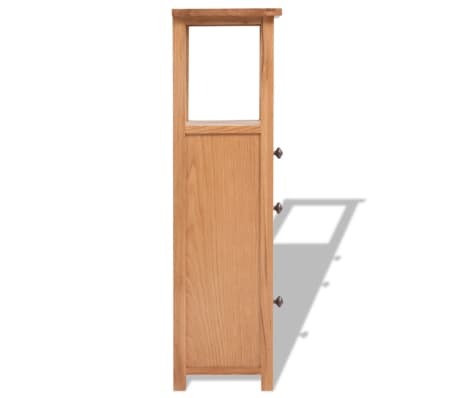 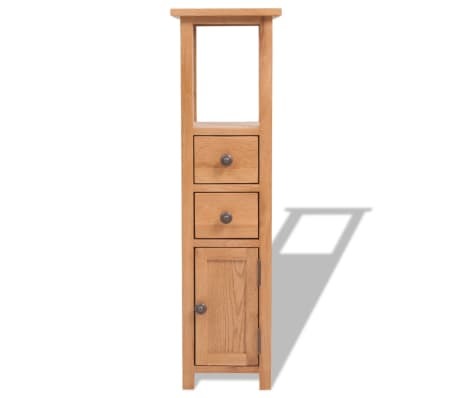 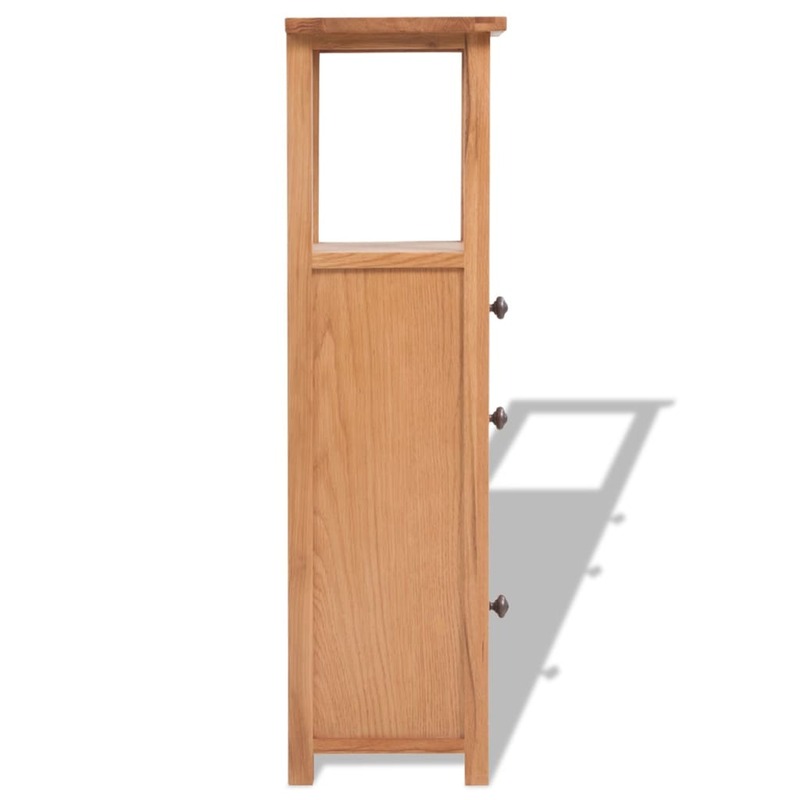 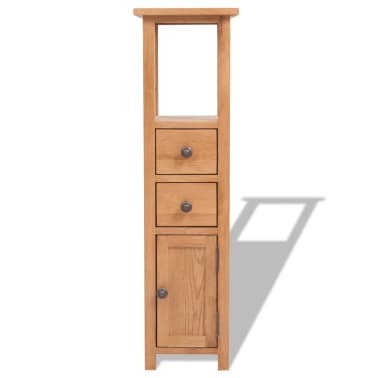 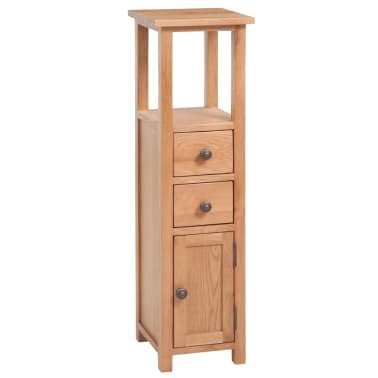 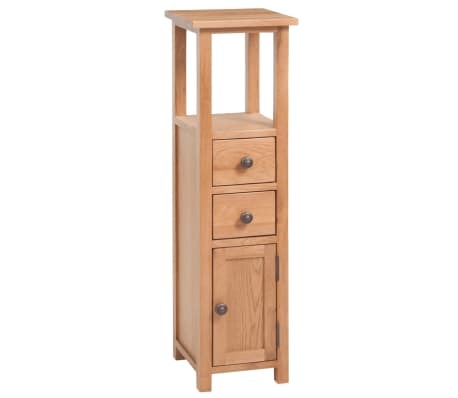 Made of solid oak, it has a rustic look and feel and is very durable.